Did you know that HOW you cook your vegetables has a HUGE impact on your health? 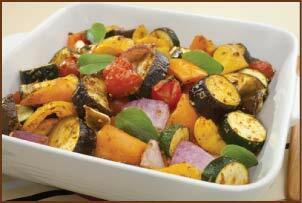 If you cook veggies the wrong way, they lose a lot of the nutrients your body needs to stay healthy. You end up "short changing" yourself… just because of the way you prepare your food! It's amazing how many people (and restaurants) are doing this. You might be doing it right now. Some of the so-called "healthy" ways to cook veggies are actually some of the worst ways you can prepare them. There are a lot of MYTHS going around and it’s crucial to know how to cook your vegetables to get the most health benefits. Which ways should you AVOID? Boiling is, hands down, the WORST way to cook your vegetables. You can only boil at very high temperatures and this takes longer than cooking vegetables in other ways, leaving them exposed to vitamin and mineral damage. The biggest issue with boiling: you have to submerge the vegetables in water. But they don’t realize they’re “throwing out the baby with the bathwater” -- key nutrients from vegetables they just prepared! You can avoid this if you keep the boiled water and use it in a soup or stew. But if you just boil vegetables and pour the nutrient-rich water down the sink, you’re missing out. A combo of high heat and water loss make boiling a BAD choice compared to the other ways on the next page. “Lot-fat” fanatics praise roasting as one of the healthiest ways to cook vegetables because it uses dry heat and avoids oils. 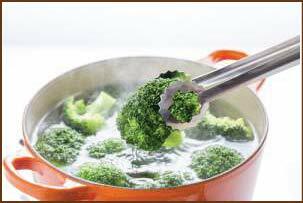 You don’t have to add water like you do with boiling, which makes it easier to save vegetables’ key minerals. That’s definitely a plus. On the other hand, roasting is usually done at high heat for a good amount of time. This causes some of the vitamins in vegetables to break down. So the verdict on roasting: it’s better than boiling vegetables, but it isn’t the best way to save the most nutrients. 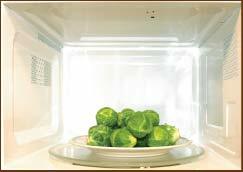 Microwaving vegetables exposes them to high heat for short periods of time. This intense heat can make vegetable nutrients break down. Plus, microwaves don’t just destroy nutrients. The heat can leach toxins (like BPA) from microwavable containers into your food. Those toxins have been linked to digestion and autoimmune issues—even cancer! It’s also hard to cook with microwaves. A lot of vegetables come out mushy or dry. There are hot and cold spots. No one wants to eat veggies if they taste like cardboard. Microwaving vegetables is convenient, but it isn’t a good way to go. You have better options. Now that we've covered the 3 WORST ways to cook your vegetables, click on the Next Page button below to find out the 3 healthiest ways to cook your vegetables.